Here’s a glimpse into five design mistakes we frequently see — and how to avoid them! There is this fear with going big, especially with lighting and rugs. Oftentimes, because of the expense and general apprehension with large items, rugs can end up looking like bath mats in a space. There’s a couple ways to fix this. One, if you have a small rug that you love, think about layering it! Buy a larger rug (like a neutral and inexpensive sisal) and put it underneath! This especially looks beautiful with a hide rug or with a vintage rug. Secondly, understand the proper way to select a rug size. Remember you aren’t looking for wall to wall carpet, but you are looking for something that tucks underneath all your furniture. So, make sure that your sofa, side tables, coffee table, etc. are all on the rug. Our typical rule is that all of those items make it at least halfway onto the rug. Keep in mind rugs ground a space, so it’s important to get it right. Another common mistake on scale is with lighting. Proper lighting is worth every penny, and it’s important to buy the right size fixtures. Because it’s an investment, we often see tiny chandeliers installed over large tables or tiny pendants hanging over a massive island. When in doubt, go bigger — you won’t regret it! Good lighting is like the right pair of shoes. It makes or breaks an outfit (or space)! Take this handmade glass chandelier at our client’s home in Dilworth. It definted the space and added so much personality. 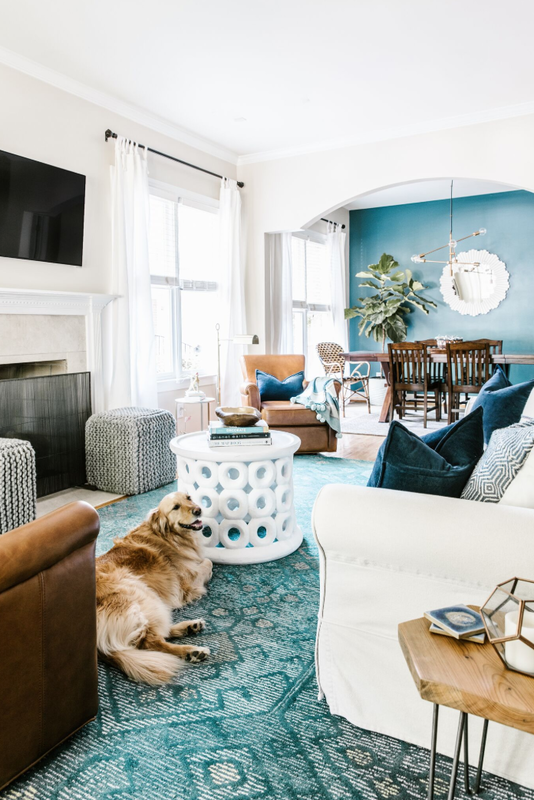 We can’t tell you how many times we walk into a client’s home and see that every room has a case of the by a biege-on-beige ailment. There is something so comforting for people about going with this neutral route, but it ends up feeling boring and impersonal. This is what brings a lot of our clients to us in the first place, they feel like its not coming together and that it feels dull. We've got you! Take this before and after — walls, sofas, accents — everything is a variation of tan. As with most of our clients, we discover this tan on tan look isn’t them, it doesn’t reflect their personality — it was just comforting because it was approachable. We don’t want our clients to copy what they see — we make it our goal to help them create a space that brings to life their story. To fight this beige ailment, start by putting a fresh and light color on the walls. 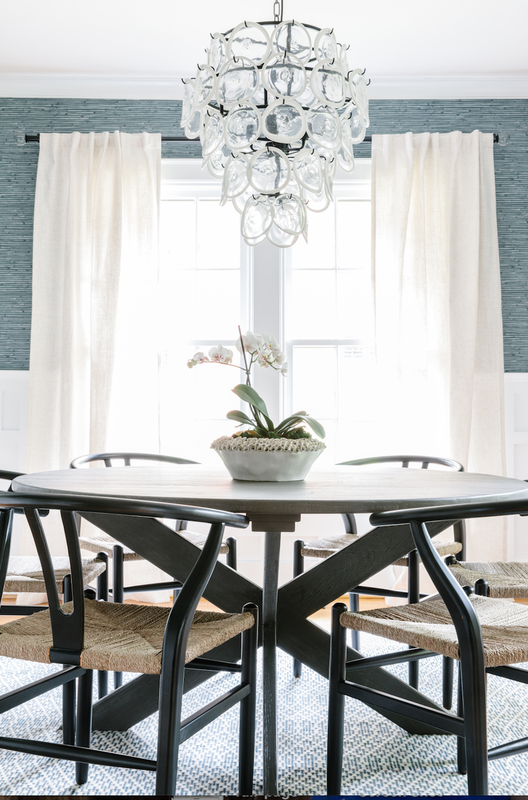 One of our go-to’s is Benjamin Moore's Classic Grey. We know everyone is on a budget, and paint samples are one of the best way to stay on track. Professional painting is an investment (and if you’re painting yourself, it's a time investment), so spend $3 per sample and grab a number of paint samples and sample brushes. Or, they have a kit at most hardware stores call Spot-On with paintable and removable decals. Paint the sample right on the decal, let it dry — apply a second coat — and once it’s dry you can stick it on the wall and move it from space to space to see it during different times of the day. The biggest trick here is to paint sections of the wall and to walk past it for a few days, noting how it looks and feels to you in different lighting. 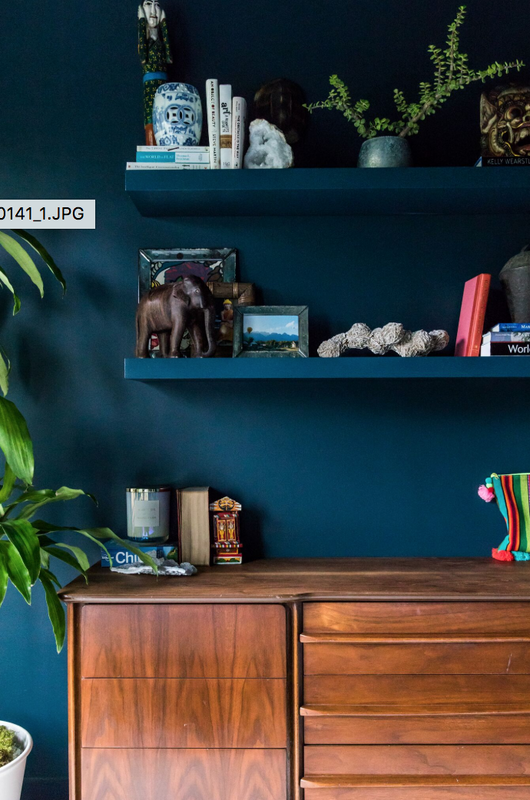 You won’t regret this extra step to confirm you’re in love with a shade before painting. Committing an entire space to one trend can by risky. Especially if it’s not you. Sometimes we’ve found that our clients jump on the bandwagon of a particular trend (rose gold anyone?) without thinking about longevity. Our tip is to be true to yourself. If you absolutely loving a particular trend — (a white lacquer mid-century modern console maybe? A velvet headboard? Or patterned end chairs?) — go for it! But don’t create an entire space around one trend lest your love for that trend fades and you’re caught having to replace those rose gold pendants. This is tied with beige-on-beige for the No. 1 design mistake we see. Often, our clients go into a retail store and get stuck purchasing all their items from one place with the same fabric. While it all goes together, we find that it easily falls flat. Our tip: MIX. IT. UP! If you get a West Elm sofa, try another vendor for your lighting and rugs — and another for your table. While it’s good for end tables to match, the coffee table doesn’t need to. While we suggest a pair of nightstands with matching sconces or lamps, the dressers don’t need to. Check out Kell’s bedroom, where she mixed things up with a mid-century console from Atomic Furnishings instead of matching dressers. Here’s to hoping your spaces are as authentic as you are, and that the journey to find the right pieces is fun! When in doubt, reach out and we would love to help!